I mentioned in my last post, but I figured I’d make some bigger noise about it in it’s own post, but I’ll be at the Stumptown Comics Fest this weekend, sharing a table with my good friend, Breena Bard, né Weiderhoeft. We’ll be at table J-07. I don’t have any new comics, but I will be selling original pages alongside copies of Americus, the Lorian Gendarme Adventuring Guidebook, some old One of the Johns mini-comics, as well as assorted other original art. 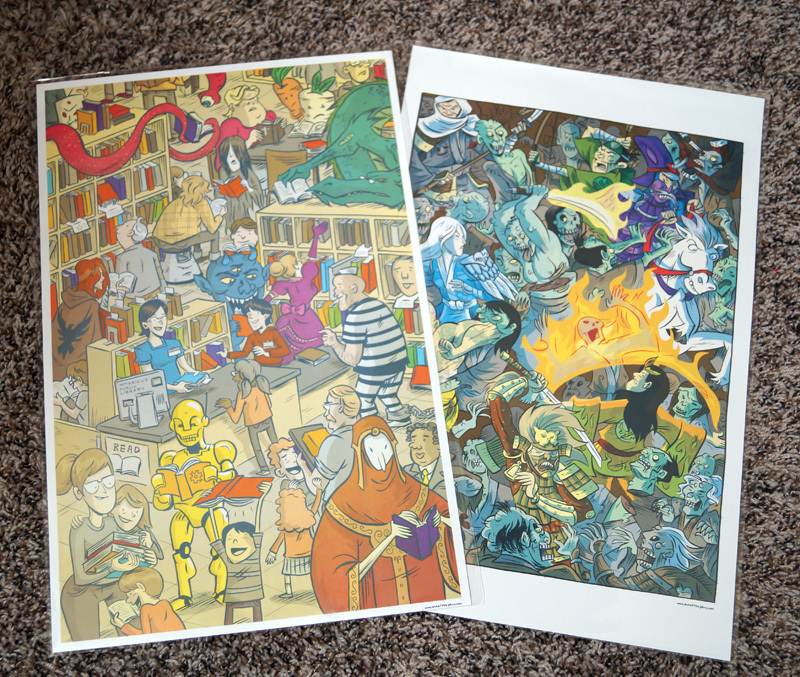 I’ll also have copies of these posters I had printed. 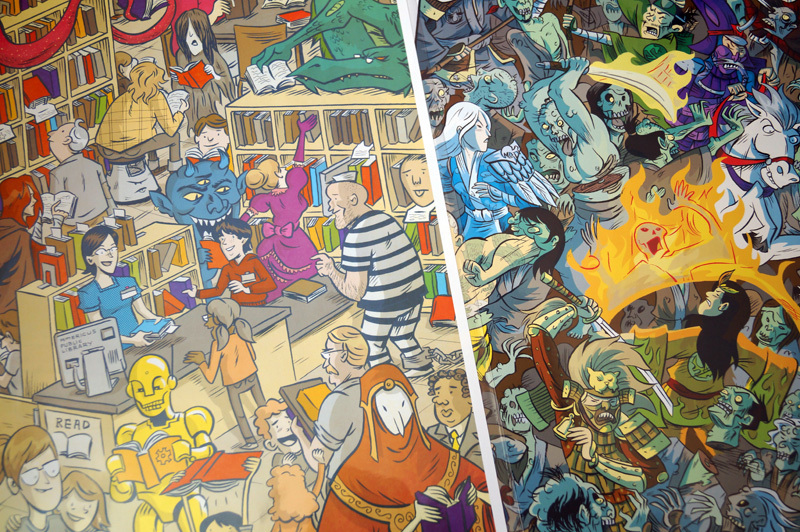 One is a huge library scene that I did for an American Library Association donation piece, and the other is some fan art of a bunch of samurai fighting off an army of zombies. I think that’s it for now! See you this weekend! This entry was posted in News by Jonathan Hill. Bookmark the permalink.